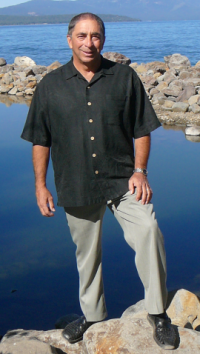 I moved to the Tahoe area in 1984, resided in Squaw Valley for 14 years, and developed a passion for skiing. He continues his real estate services in one of the premiere resort communities of the Sierras, Tahoe Donner, and, also enjoys golf to the fullest. with a strong desire to give personal service to others, you will quickly discover that I have my own unique style. I am the father of three successful children and grandfather to six more. My wife and I continue to enjoy the lifestyle of Tahoe, in the summer and winter, while I work full time in vacation real estate. In addition, I owned a condo on Maui for 14 years and I understand the concerns of absentee ownership that you might have. I am available to give “long-distance” assistance and offer knowledgeable advice.